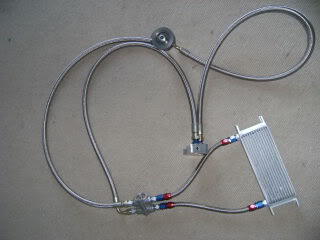 You will NOT find a cheaper oil cooler kit on the market that is built as good as this kit and comes with an INLINE THERMOSTAT!Braided lines, CNC plates. This kit has it all and at a affordable price! 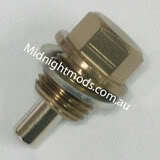 Relocation plate has 2x1/8NPT gauge ports. Hose is pressure tested for 1600psi, 16 times the running pressure of the engine! Comes with mounting bracket as well. Each line and fitting is tested to 1500psi. A test certificate can be provided upon request. Tune agent oil plate is an option for SR20 RWD only. At a extra cost we can arrange black fitting as well.